I’m excited to introduce the first in a series of features on Latina entrepreneurs who are truly bossing it up. In a past article about What It Means To Be A Latina Entrepreneur, I decided to feature one Latina boss each month that is acabando, making strides and introducing the world to an entirely new type of entrepreneur. 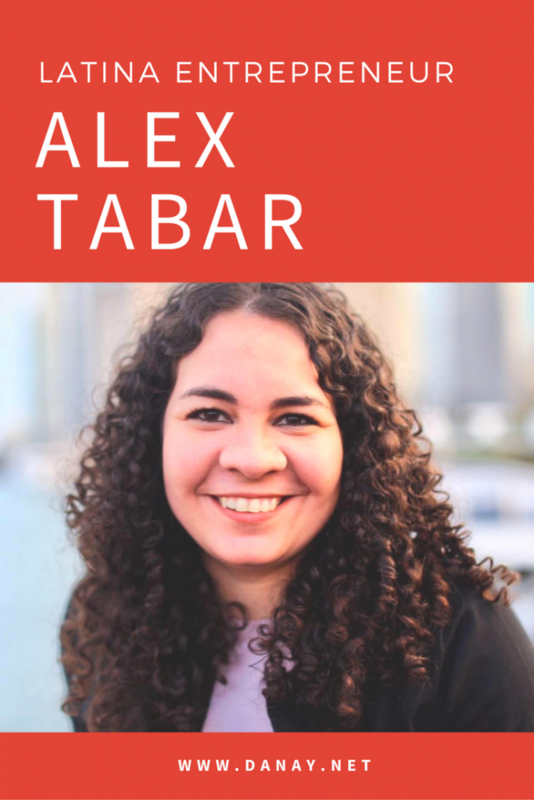 Latinas in Media Founder, Alex Tabar is someone I’ve been following who certainly fits the bill. I’m loving her candid responses to my questions about every step of her journey. She is the type of woman who inspires me, and I know she will inspire you too. Alex is the founder of Yucalab Digital Media and Latinas in Media, based in New York City. With more than 10 years of experience, she has developed a diverse portfolio of projects ranging from entertainment to education, creating content for digital media, television and publications. Alex is YouTube-certified in the “Audience Growth” program and is a fan of Mafalda and Willy Wonka. DE: Where were you born and what is your heritage? AT: I was born in the Dominican Republic and my parents are Dominican as well. AT: I’m a proud immigrant who moved to USA 8 years ago. DE: What challenges, if any, do you think being Latina brings you as an entrepreneur? AT: I believe that as Latina women, society taught us as girls that we have to fit into a mold, delineating certain rules for how to live our lives. Breaking those rules and stereotypes is a challenge we all have to face. And let me tell you, I have broken all those rules and it is what has led me to be where I am today. That alone makes me feel so successful! DE: How has being a Latina benefited you as an entrepreneur? AT: As Latinas, we have something… that “no se que”, that makes us the best at many things. We are great cooks, dancers, writers… because we have that “sazón latino” that makes us different from the rest of the world. If you bring that from your personal life to your project, you’ll be a great entrepreneur as well! AT: After spending seven years working in an NGO, the day I decided to leave to grow and fly higher on my own, I realized that I had missed a lot. I discovered a movement of Latinos that was growing rapidly in digital media. I discovered a lot of quality content. I had the privilege of meeting many Latina entrepreneurs with great projects. Some became cyber friends, like the ones you made in IRC chats in the 90s, and I began to learn and to grow from their experiences. I started reading their blogs and their books and watching their videos. Some of them motivated me to get in the kitchen with their delicious recipes, others captured my attention with their style (me being clueless about fashion), and others captivated me with their discussions on entrepreneurship. These women inspired me and I wanted to be part of them. 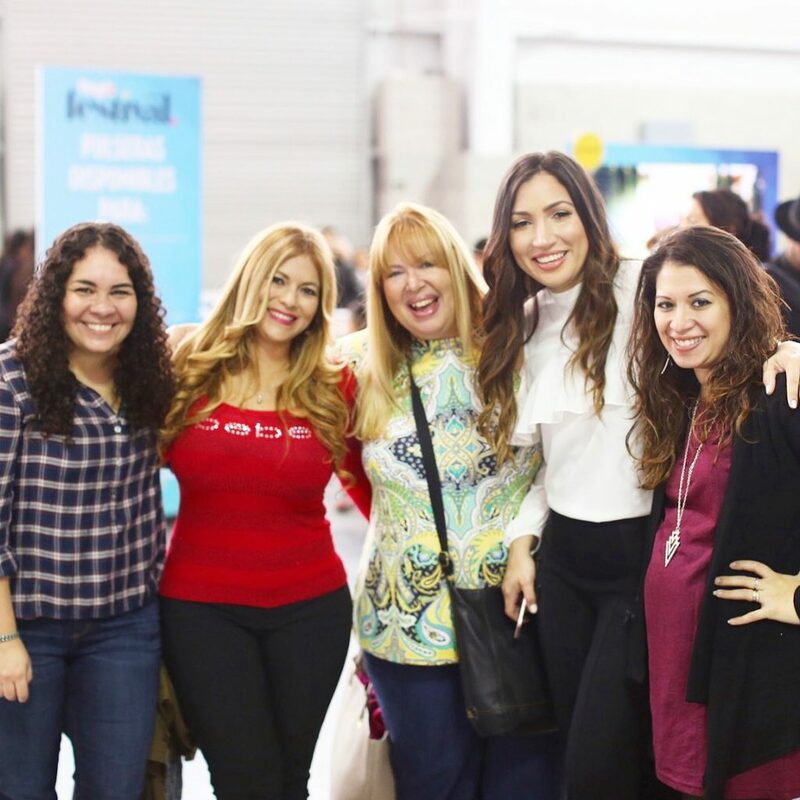 That’s how I started Yucalab Digital Media and became YouTube Certified, to work with these individual and small businesses and then I decided to launch Latinas in Media, as an outlet to share my knowledge and portrait inspiring women entrepreneurs. Q: Tell us about Yucalab and Latinas in Media. AT: Through Yucalab Digital Media, I provide services on content creation, social media, YouTube growth and optimization and English-Spanish translation and proofreading. Meanwhile, Latinas in Media is a bilingual community for female entrepreneurs and women in the media, where I share articles related to content creation, digital media, blogs, social networks and entrepreneurship, in addition to featuring profiles of great female entrepreneurs and sharing products that we like and make us feel fabulous. DE: What were the first few steps you took to get your business up and running? AT: I am very creative, so I had TONS of ideas that I wanted to develop. I analyzed each of them very careful and did a research starting with my close people (family and friends) to see which one could work and which one wouldn’t. Before implementing Latinas in Media, I had to find my niche. I did research on who my audience would be, what they needed and how that audience could become a community. I spent 9 months researching and educating myself on my platform. I didn’t have money to pay anyone to help me, so I learned how to do everything I didn’t know by myself. From setting up and optimizing my website to creating and strategizing all the content for the blog and for social media. Also, my native language is Spanish, and I didn’t consider myself ready to write in English, so I took that time as well to leave the fear behind and get better at it. Nowadays, with some help from my friends, I’m running my blog in two languages. DE: What has been the most effective way of raising awareness of your business and getting new customers? AT: Networking. Online and attending events. Every time I attend an event, especially the ones targeting our Latino community, if I don’t leave the event with new clients, I get something better, new friends! You need to be able to take advantage of technology and the possibility we have of reaching everyone (even the big ones). I have been able to send an email or connect through social networks with great people that I admire, and then have the opportunity to meet them, share with them and even work with them. Via Instagram I connected with Luz Maria Doria, after reading La Mujer de mis Sueños, also I reached out to Gaby Castellanos for an interview and I also exchanged some lines about my project with Pat Flynn. DE: What have been your biggest challenges so far? AT: I want to be honest with this question! Being an entrepreneur is not easy. I came from a full time job, where I had to work a lot. I knew that at the end of the month, I was going to get paid and didn’t have to worry about that. Also, I had directors who set the goals and the guidelines of every project and also a great team behind me. Now, I have to work as hard or more than before, I have to set the goals and guidelines, I don’t have the support of my great team and money-wise, every month is different. Even though it has been a challenge, who said challenges are not cool? The personal and professional fulfillment that my projects have brought me makes all the sacrifices of this last year and a half worthwhile. DE: How did you overcome these challenges? AT: Working hard and surrounding myself with other fellow entrepreneurs. To be an entrepreneur you must be positive and trust yourself, because bad days and challenges will come and the only way to overcome them is by being strong. Many people will tell you that you are making a mistake, that you are wasting your time, that you are not making the money you were making in a full time job… So you must have faith in yourself, in your project and work hard every day. I assure you, for my short journey and from what I have seen in other women entrepreneurs who started before me, that if you focus and give it your best, you begin to see the results when you least expect them. DE: What keeps you motivated through difficult times? 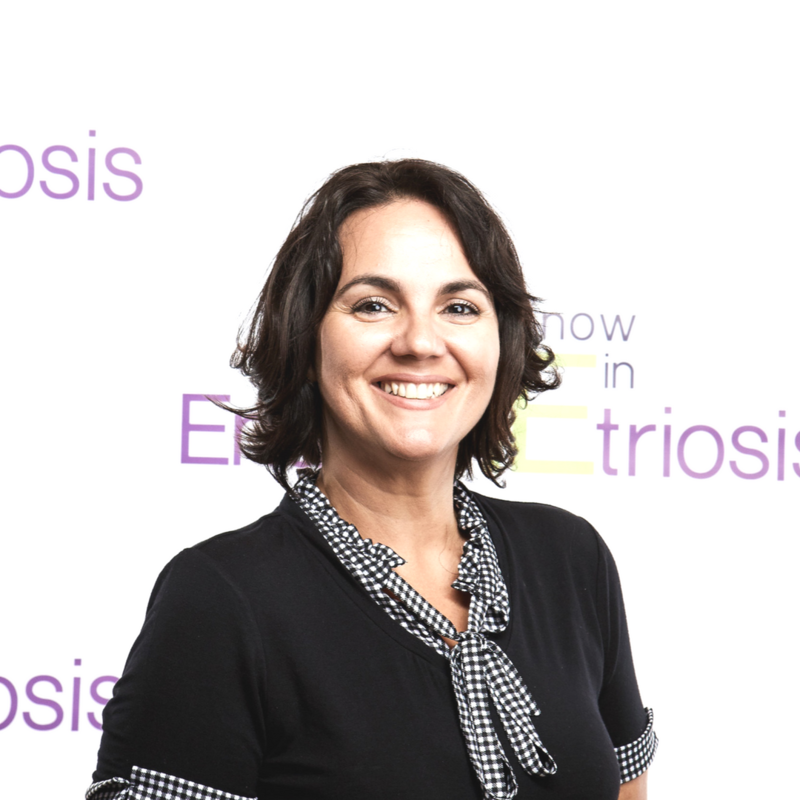 DE: How do you distinguish yourself from your competitors? AT: Since I launched Latinas in Media, I’ve been thinking about, who is my competitor. And you know what? I haven’t figured it out and I don’t have my mind set on competing with anyone. This project was born with the intention of sharing my knowledge and great stories with my community, so more than competing, I’m collaborating with lots of people and that makes me happy. I think I grow more as a person and so do my projects, if I keep focusing on collaboration more than competing. So, how do I distinguish myself for everyone else? I found a niche, I’m building a community, and I’m sharing my knowledge and collaborating with my community. My knowledge, my story and my experiences are only mine, and that alone makes me different from the rest. DE: What’s the best advice you’ve recently received? AT: Challenges and struggles shape our character. They make you or they break you. If what you are doing makes you happy and is serving a purpose, find a way to make it different, work hard every day, and you will see results. DE: What advice would you give to other Latina entrepreneurs? AT: Get out and fly, trust yourself. Learn something new every day. Lots of crazy ideas will come to your mind but one of those will stick and will not let you sleep. When you discover it, make a plan and start working hard to achieve it. There will come times of fear or fatigue, and yet you feel happy and excited, which means that you are on the right track. Do not give up! DE: What are your goals for the next few months and how are you striving to achieve them? AT: My goal right now is to keep growing and developing Latinas in Media. I launched it only 3 months ago, and I’ve seen many good results, so I’m working on creating new content and optimizing the website and social media networks. The way I’m striving to achieve this is by organizing myself, being as productive as I can. Since I work with many clients, sometimes I give priority to their project and at the end of the day, I am so tired that it is impossible to focus and write a new post. DE: Any good books or articles you’ve recently read? AT: Two books that have inspired me and my projects are by two Latinas that I admire a lot. Reach by Lorraine C. Ladish and La Mujer de mis Sueños by Luz María Doria. DE: What is your favorite business tool or resource? AT: I use Trello as my editorial calendar, both for my clients and my own projects. Also, all my life is documented on my Evernote, this is where I write EVERYTHING, from my to do list to my blog posts. 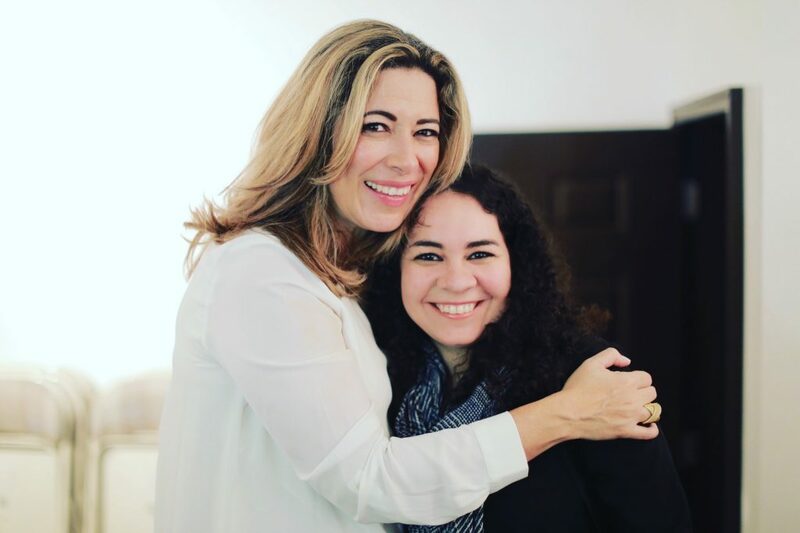 If you’d like to connect with Alex on social media, and I totally think you should, then check out her social profiles and get to following and networking! Alex represents the new era of Latina entrepreneurship that I see as a type of movement. These women aren’t necessarily 1st, 2nd or 3rd generation Americans. Many are immigrants who are making their American Dream a reality by putting in the work, taking the risk and getting their visions launched and shared. I would love to get your feedback on what you think about Alex and how she has inspired you. It is always so inspiring to hear about women in general who are really making it big in the world and doing what they love. I especially liked her advice to other Latina entrepreneurs, which of course, applies to anyone. I love reading stories of successful women like Alex! Good, solid business advice, too! Me too Holly. She’s got some nuggets of wisdom in there for sure! Love this! It’s amazing to see other female entrepreneurs changing the world with their passions! Lots of similarities to many entrepreneurs, great story. I can relate to alot of what she said and I like that you asked what tools she uses as well. So inspirational! Every immigrant should be proud of theirs roots! What a timely post for me. I am a blogger, mother, Latina, and writer with many great ideas and just starting out in the business. It is a challenging and often times lonely road. I believe this post reminds us to reach out to others. Others who are starting out like us and others who are experienced that can offer their expertise, guidance, and inspiration. Wow, she is truly inspirational to me! I know so many people go through so much strife and come out on top! I want to share this with every Latina girl in school. Success is often a mindset. Seeing others like youwho have been successful encourages others. I’m so glad to hear that Terri! This was such an inspiration to read. She is such an amazing person. I think it’s great that your interviewed Alex. Female entrepreneurs of any race or culture are boss ladies! Wow, this is so amazing and I love reading about the success, Thanks for making me Inspired! This is an amazing interview! I loved reading about what inspired her to do what she has done. Great advice. I love to see female entrepreneurs doing great things. I really enjoyed reading your post! I love that you’re honest about your feelings on running your own business and how hard it is, yet very rewarding. Best of luck to you!! this was a great post as a blogger, Latina, and writer with many great ideas its amazing to see people rocking it out. Its a great thing to see other female entrepreneurs putting out all their passion. I love these interviews of strong and successful women like Alex! Great business advice is alway found in them. I love everything about this post…including the picture of some of my favorite Latinas! If you grew up to certain values, entering a world that’s all about being open to new things can be quite a challenge. I love that her determination allowed her to fight through that. She’s an awesome woman! This is such a great series idea, I love the idea of building people up and celebrating their accomplishments. We need more women like her to build up businesses and show others what a strong woman can do. She is a very good role model for young women, or for all women who dream of being their own boss. My niece will be graduating with a degree in Entrepreneurship. I will share this link with her. Life after college can be a bit scary because you have to now carve your niche in the world of the employed. I love the positivity that oozes from each sentence! It is great to see a Latina doing so well! We have a hard enough time as women, much less ethnic women. Being multiracial, I often don’t feel like I fit and it’s wonderful to see someone carve out a place for herself. Very inspiring! This post w was very motivational. I love interview posts. She seems like a very interesting young woman, I wish her the best of luck. Thank you for sharing her story with me. So wise! Very nice article, really inspiring! We’re just starting our blog and trying to learn all about it. It gives us strength that she has done everything by helself and growing so fast! Definitely following her from now in social media! This sounds like a great interview. Very inspiring! It’s so good to hear and learn from successful entrepreneurs. Thanks for sharing! Great Interview Danay! So glad to learn more about Alex. She has such passion & drive. I love that about her! Thanks Marissa, yes she’s inspiring and I loved getting to know more about her journey. Love the advice to others. That’s very insipring. I love this post on Alex.. I have read her blog obviously but didn’t know about all her accomplishments! She is what Latina’s represent today. We want to be taken seriously, we are business women and entrepreneurs. We are realizing our power in how we influence our communities. She is very inspirational for every Hispanic or Latina who wants to start their own business/blog. Danay, thank you so much for featuring me on your blog. It is really an honor. Thank you all for your comments. I really appreciate them! She’s a great example of how hard work pays off. It’s inspiring just to hear that she was inspired by others and then took the time to do the research needed to get up and running on her own. That’s definitely hard, especially when you just want to get something going. Patience is a big part of being successful. Congratulations for this interview, you did great! And she’s very inspiring and making a huge difference. I love ho candid she is in her interview. She definitely doesn’t pretend that it all came easily and that she didn’t have to work hard for it but I love her passion for what she does and for promoting Latina Women in Media! Networking is sooo important. I’m glad that she said that’s how she grew awareness for her business. I love blogs that share the love with other bloggers, collaboration is such a great thing. You have given me some good ideas after reading through this one.